Waste Management is the collection, transport, processing, recycling or disposal, and monitoring of waste materials. 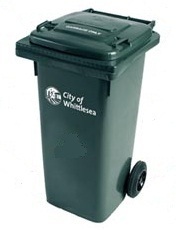 Waste Manageemnt is a key Council Service, that may be provided directly by a Council or through a Regional Waste Management Group. The list below is generated automatically. To add a page to the list, add the tag "waste-management" to the page. The following people have indicated (via the Local Government Collaboration Topics Survey) that they have an interest and/or expertise in the topic of 'Waste Management' and are willing to collaborate with their peers at other councils to identify challenges and resources relating to the topic and to look for ways to work together to overcome any challenges that are identified.